Spectre LTE brings 4G bandwidth and low latency to cellular data networking. 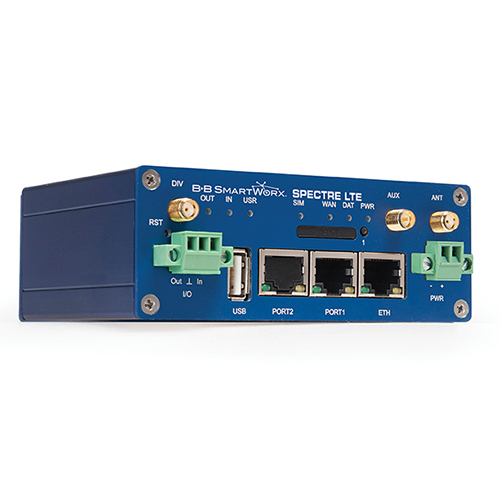 With advanced features including LINUX OS, LINUX scripting for easy SW module creation, VPN tunnels with dynamic routing protocols, firewall and more, Spectre LTE is a rugged, easy to use, intelligent router for use in band-width hungry applications like full motion video, and smart city transportation. 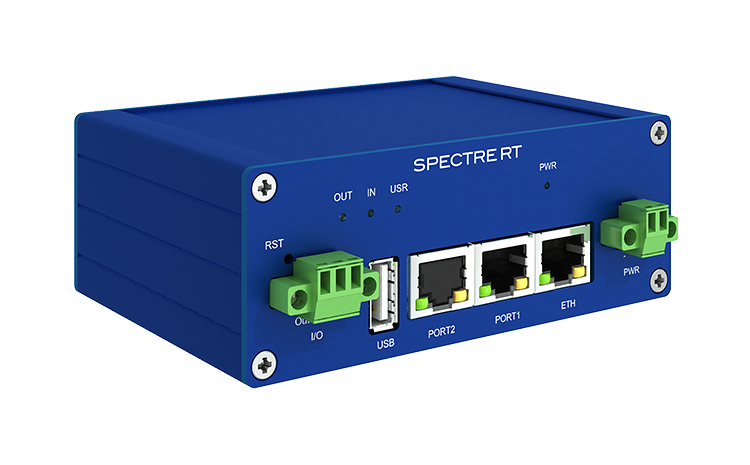 With a full range of connectivity options using Wi-Fi, Ethernet, Modbus, RS-232/422/485, analog & digital I/O, and downloadable user modules, Spectre offers flexible functionality for mission critical applications.